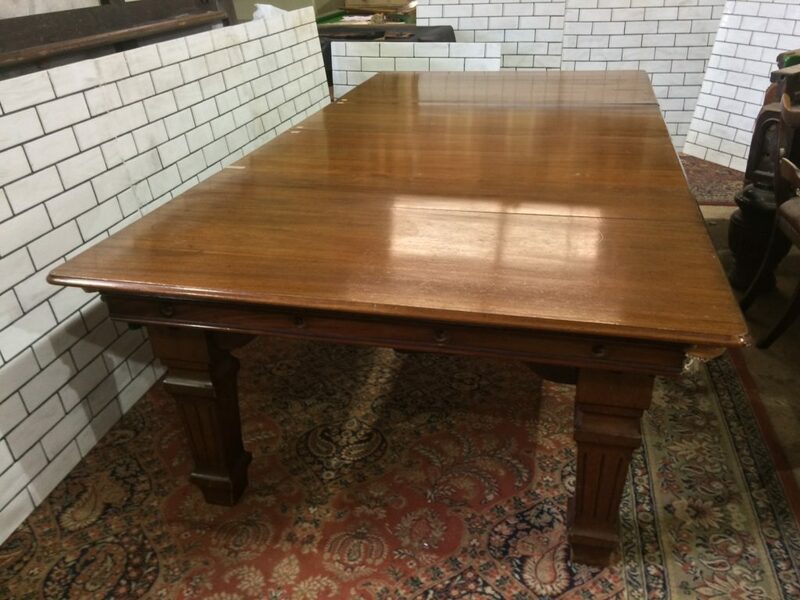 Antique Snooker Dining Tables (convertible tables) | Browns Antiques Billiards and Interiors. Antique Snooker Diner Video. 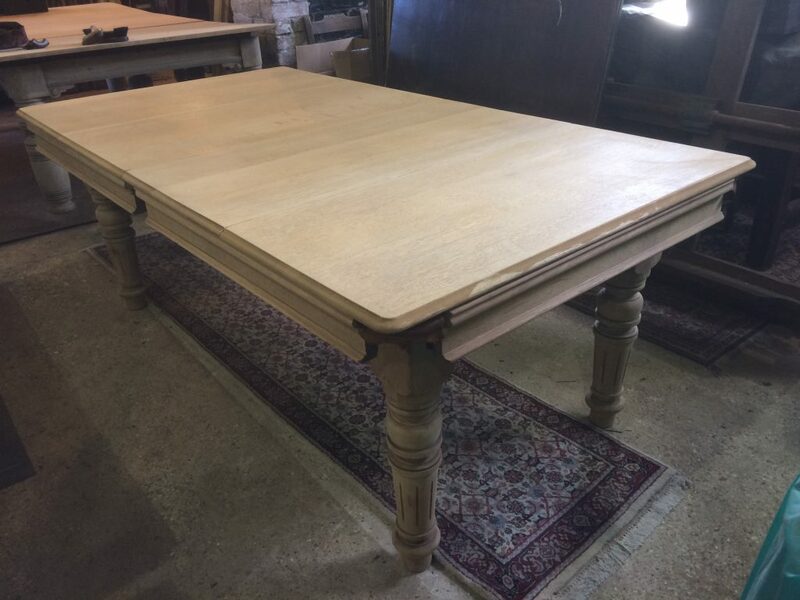 Riley Convertible Snooker Dining Table in Oak. A quick video to demonstrate a Riley 6ft oak convertible snooker dining table. 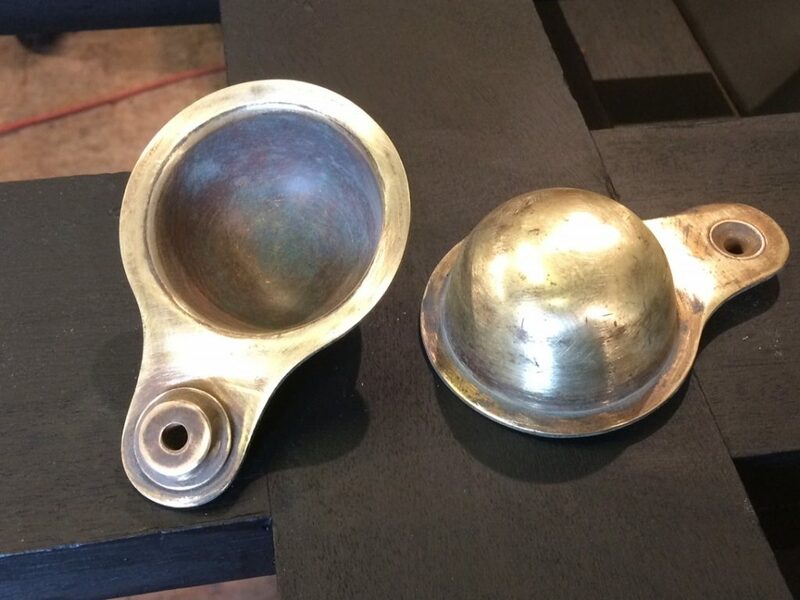 This convertible antique snooker dining table has been stripped, ready for polishing. View now to see how easily this converts from dining table to playing table! 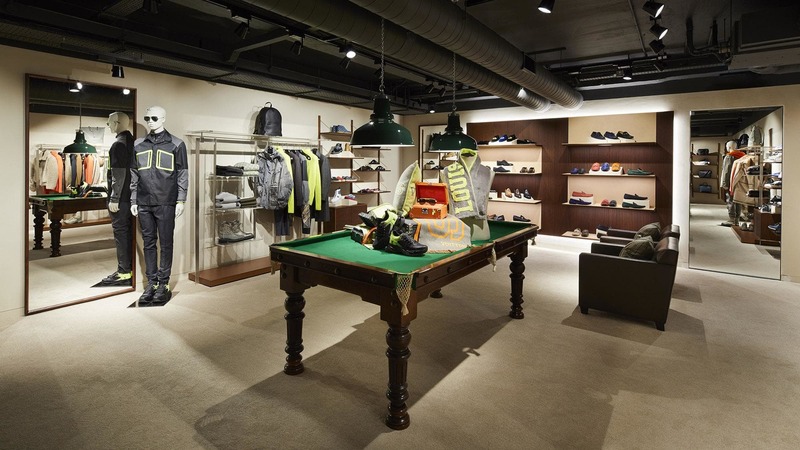 The image below shows a Geo Edwards oak snooker dining table, recently restored by Brown’s Antiques, and installed in the Louis Vuitton New Bond Street store. 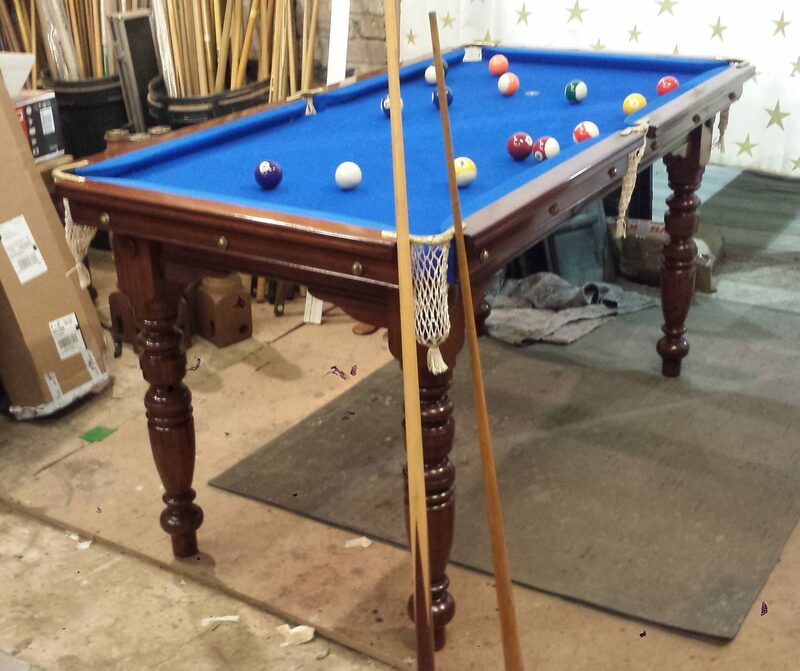 We can supply and install antique snooker / billiards tables in various sizes, starting at 5ft. Ideal for retail display, and a stunning addition to any interior! 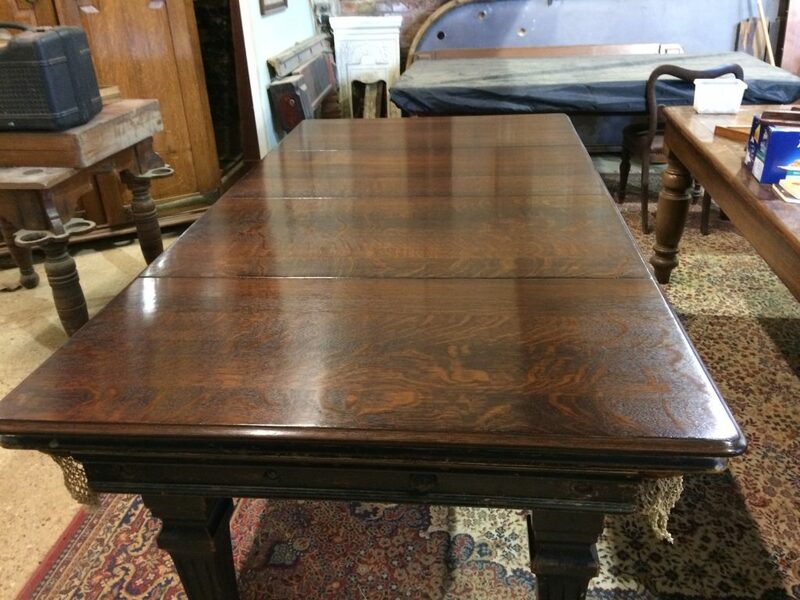 Antique snooker dining tables for sale. Antique snooker dining table at Louis Vuitton, New Bond Street. 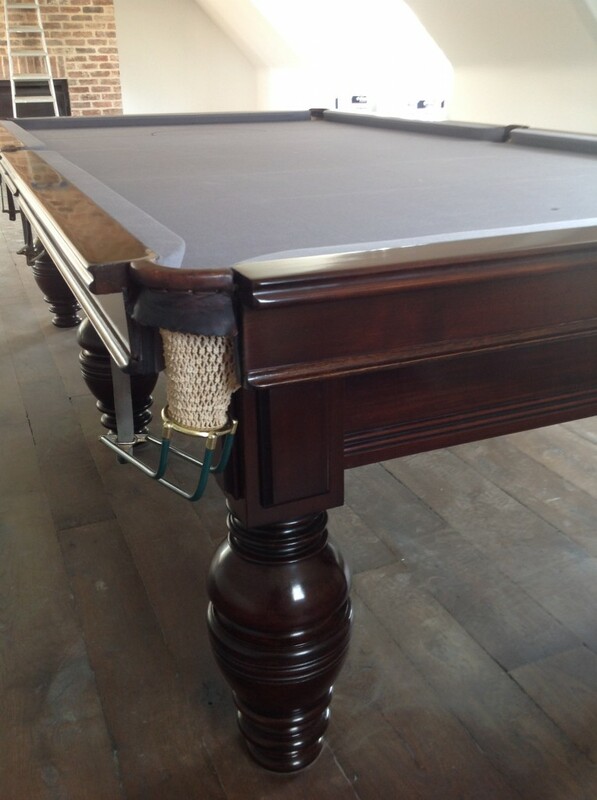 Customise your antique snooker table. 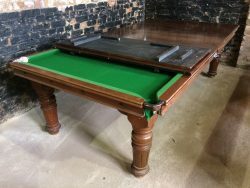 All of our antique snooker tables can be finished to your own specification. We will provide wooden samples for you to choose from, with a choice of colour and sheen for the woodwork. Once the woodwork has been carefully polished by hand, there is a choice of numerous cloth colours, meaning your table can be totally unique. If you can’t see what you’re after, please ask, as we have produced several ‘one-off’ finishes, as well as provided one-off bespoke cloths. 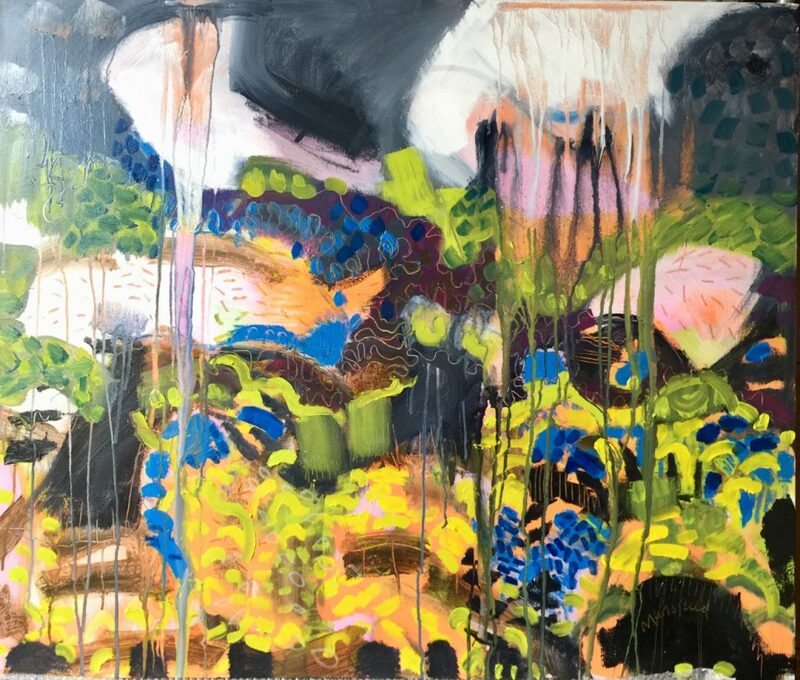 See the images below for inspiration! Almost anything is possible, to match your existing interior. 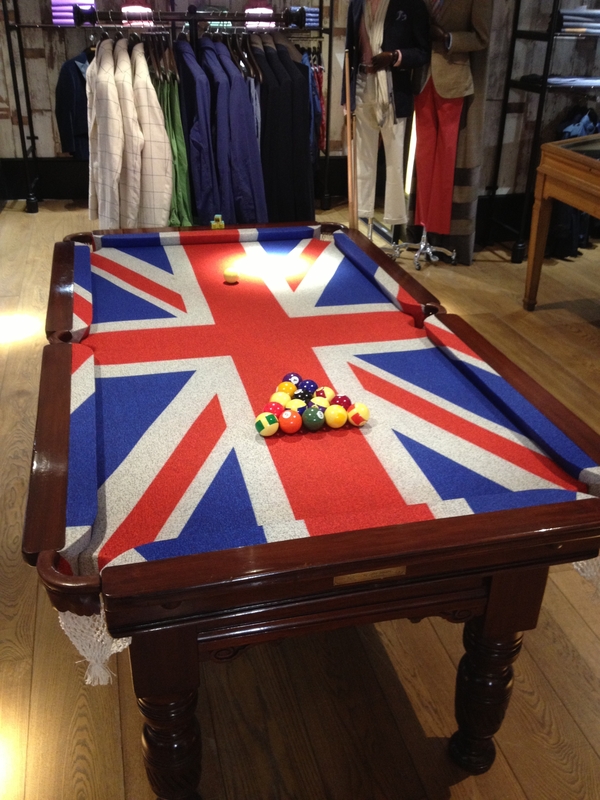 Antique snooker / pool table, with Union Jack Cloth. 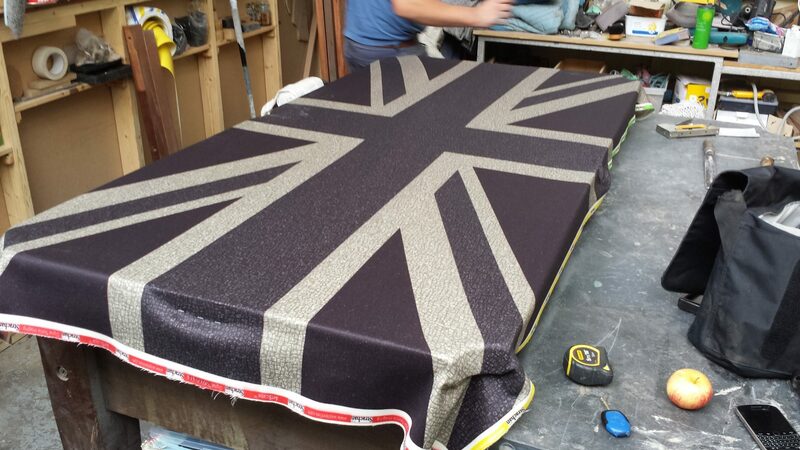 Restored by Browns Antiques, and re-covered in Union Jack cloth..
Re-covering an antique pool / snooker table in a bespoke grey / cream Union Jack cloth. 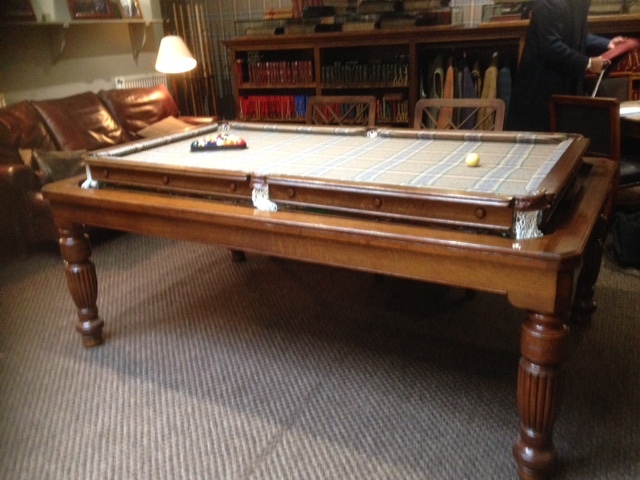 Antique rollover snooker dining table restored and installed at Huntsman, Savile Row, using their own patterned cloth. This is a 9ft antique snooker table by Jelks. fully restored, French polished and finished in a silver cloth. Bleaching woodwork on antique snooker dining table, as the customer wanted a light finish. With Father’s Day fast approaching, we have selected some ideal gifts for fathers everywhere, especially snooker or billiards fans. Forget the socks this year! 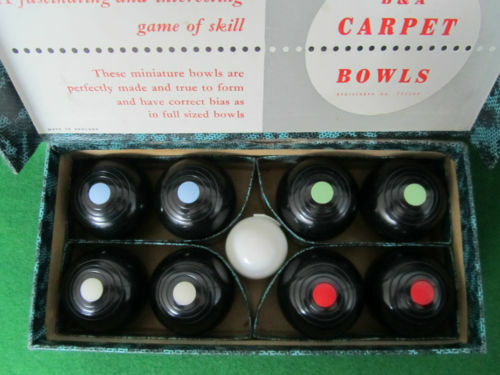 How about a vintage game of carpet bowls. or a 5ft antique pool table, complete with starter kit of cues, balls and triangle. Please give us a call to arrange for delivery by the weekend. 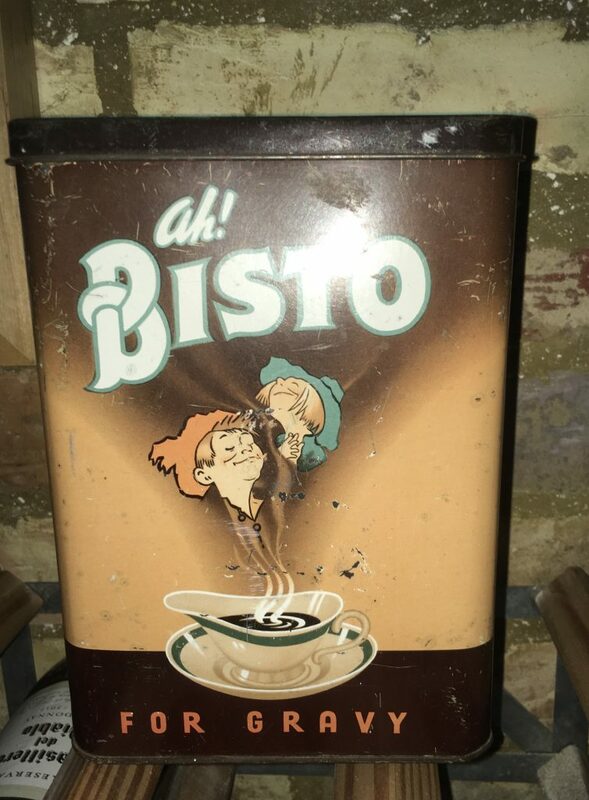 01234 743577, or email: info@brownsantiques.co.uk. 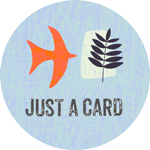 For more Father’s Day gift ideas, please click here. 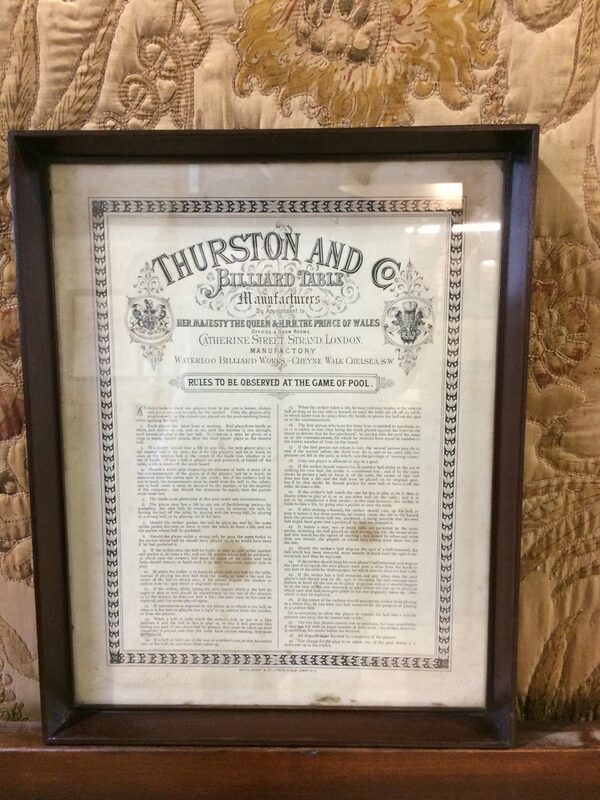 Thurston. antique framed life pool rules. 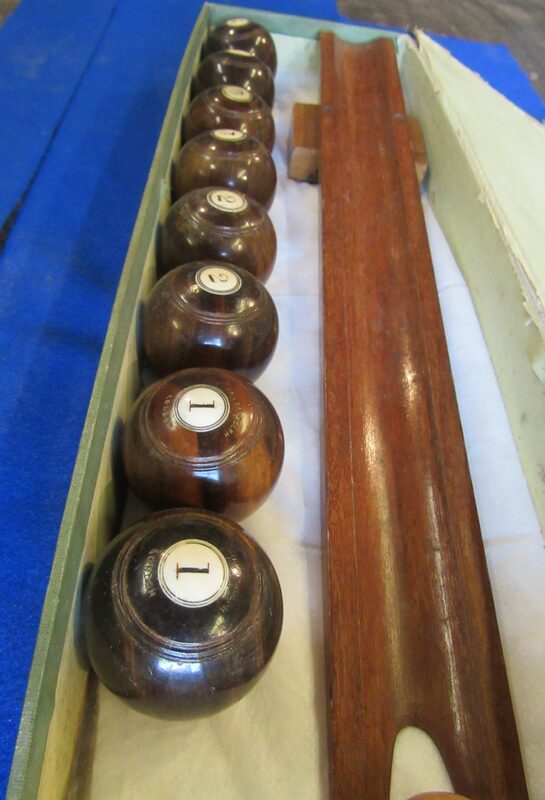 The Royal Game of Billiard Bowls. A boxed set of Vintage Table bowls or carpet bowls, circa 1950’s. 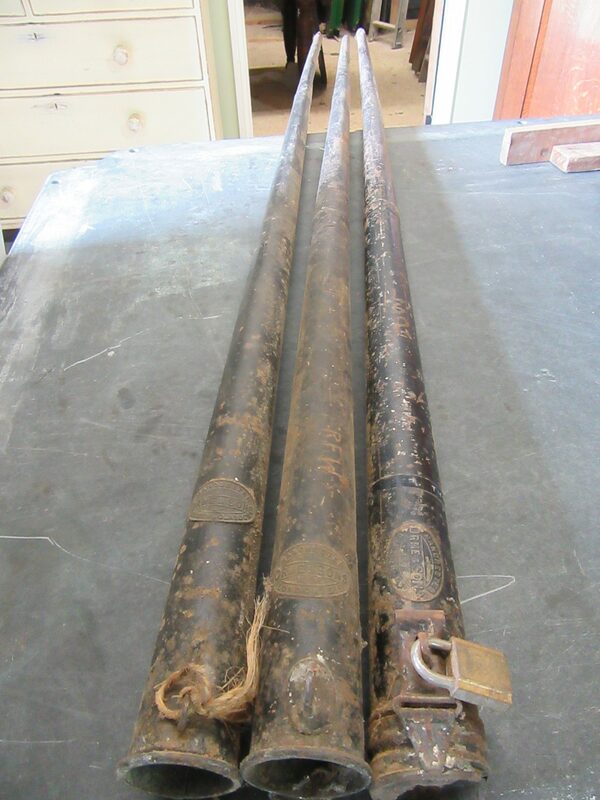 Metal Victorian cue cases by Orme.Set of three. 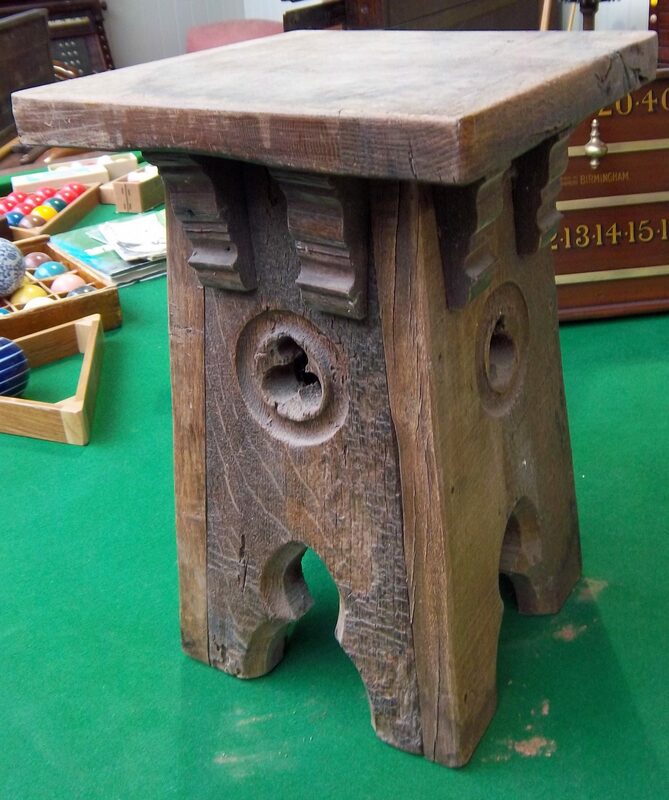 A carved antique Spanish stool.